Are you tying the knot this winter? You don't need to worry about your wedding decorations, budget, and even the weather when it comes to planning your winter wedding, all you need to do is follow the tips and ideas we have for you. If you're not looking forward for having your wedding in winter, you will change your mind once you read our article: "5 Reasons You Should Get Married in Winter". Not a fan of rainy days? Don't let rain ruin your big day, here is how you can embrace rain on your wedding day, click here! ​If you're looking for an easy winter wedding decor and color combination, try out a less-is-more approach to your color scheme this winter. 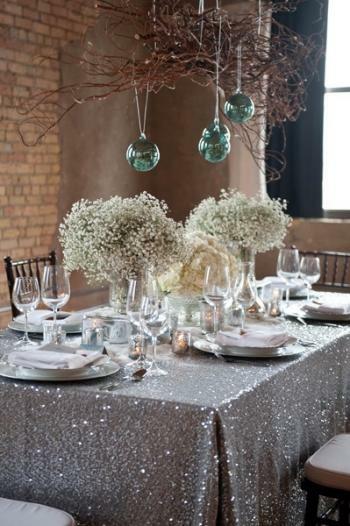 Stick to silver and white with crystal accents as they add a lot of glam to your winter wedding. You can also try white velvet and white satin ribbons. 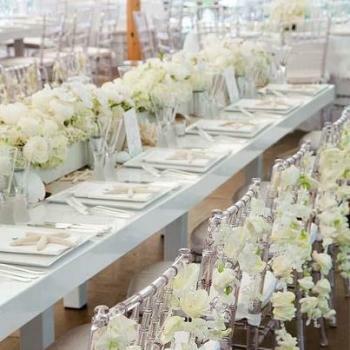 In our article "Your Wedding in Colors: An All White Wedding" you will find ideas for an all white wedding theme. If you want a more sparkly wedding, then check out this article: "A Frosty Wedding in Silver"
Red roses, calla lilies, and amaryllis are unarguably winter wedding flowers, but there are many more to consider. White hydrangeas and soft ranunculuses are hot hot hot this winter. 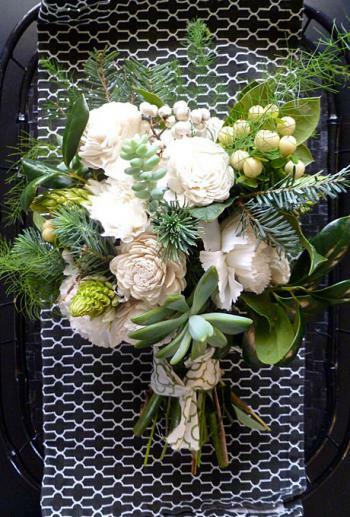 White boutonnieres can also be a great choice when accented with greenery. Add sparkle to your bouquet by wrapping the stems in a ribbon embellished with crystals. For your bridal bouquet inspiration check out our article on "5 Fall/Winter Bridal Bouquets We Love". If you don't want an all white theme, silver sparkle, or tradtional wedding colro, try a navy blue, chocolate-brown, or dark purple invitations. Instead of bringing candles for a warm indoors touch, bring the outdoors to your wedding, or use some elegant ice sculptures. Tell your florist to fill the vases with tall winter-white branches and hanging crystals so that they can reflect the light from the tables. The perfect centerpiece! 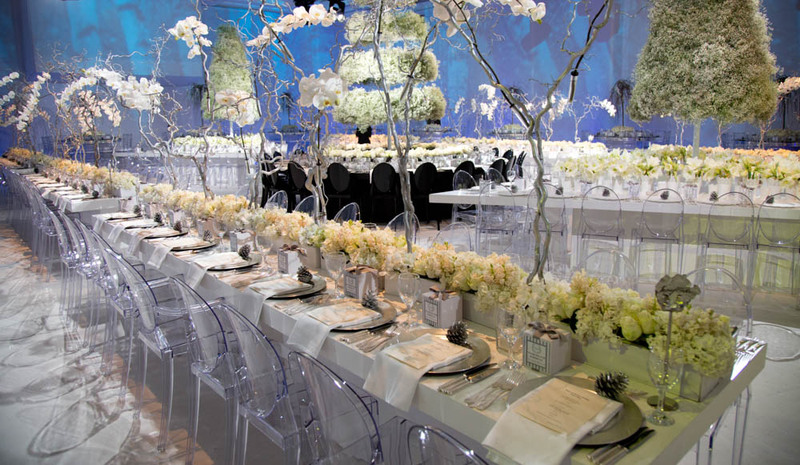 We love this winter wedding wonderland by My Event Design! For more pictures of this stunning luxury winter wedding click here! How about thinking outside the music box and having an acapella or jazz band sing background music at your wedding reception. You can have the group play some funky jazz music, sing a few popular tunes, and set a festive tone. For some songs ideas for your wedding click here! It’s always a good idea to give away edible wedding favors. The most popular ones we have in Middle Easters weddings are chocolates! But how about mixing it up a little and have cookies or truffles for a refreshing change? Better yet, consider giving out small boxes of chocolate-covered dates or dried fruit. For more winter wedding favor ideas check out "Our Favorite Winter Wedding Favors". 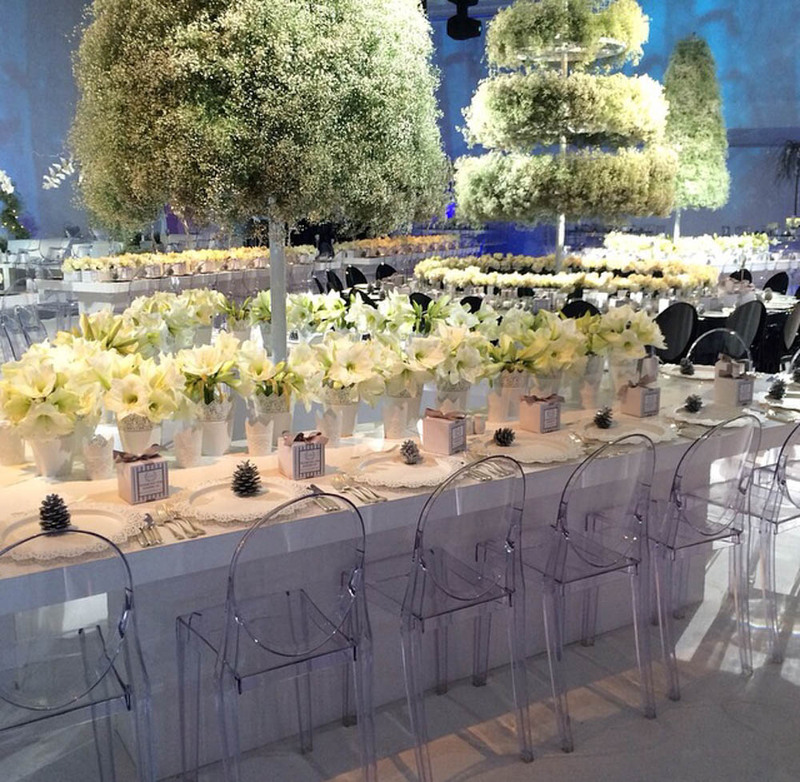 How Do You Plan The Perfect Winter Wedding? We have some tips to help you plan the perfect winter wedding, even if you're on a small budget! "3 Tips To Help You Save Money On Your Winter Wedding"
"Wedding Planning Things You Can Do When You’re Snowed In"
"How to Embrace Rain on Your Wedding Day"